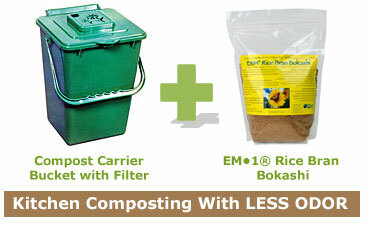 It is so easy to compost with a handy Compost Carrier Bucket in your kitchen! I keep mine under the sink and love the easy to use lid and handle! The bucket is designed with a carbon filter in the lid and is easy to clean making fewer aromas. Having a great love of cooking, I enjoy being able to compost the remainders of the vital veggies that I am discarding! 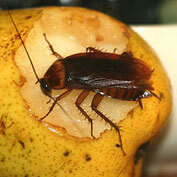 Decaying food can have a powerful stink. I use EM•1® Rice Bran Bokashi to help my compost break down faster with less odor. Made from fermented rice bran, this easy to use inoculated rice bran can be sprinkled by the teaspoonful into the compost bucket. By adding a supply of beneficial microorganisms to your compost, EM•1® Rice Bran Bokashi will accelerate your composting rate by approximately 50%. Indoor Pests: Roaches, Silverfish and Ants! Some insects can pose a problem all year. While winter brings on a state of dormancy in some, others keep a busy bustling pace. Cockroaches are some of my least favorite indoor pests. They always seem to surprise me and I am always astounded that they find my home hospitable even though I keep it very clean! The best thing to do about cockroaches is to always be on the defense. Don’t let the cooler weather fool you, these bugs are persistant! Winter months are a good time to clean cupboards, closets, under sink areas and other stoarage areas. Cockroach Traps from ARBICO Organics are a great way to capture these insects and can be placed in areas that may house roaches. I like to put these under the sink, under kitchen appliances, and near garbage cans. Silverfish are pesky and hard to notice. I would recommend that during the winter months you monitor your home and other buildings for pests like these using boric acid. I like to place three inch squares of aluminum foil in various areas and I put a few tablespoons of JT Eaton™ Answer® Boric Acid in the center of each one them. The boric acid will attract them out of their hiding spots, and help you eliminate them! As these insects feed on proteins and carbs found in binding agents and glue, it is important to make certain that you place the squares in many different rooms inculding areas with book storage, paper, and food storage. 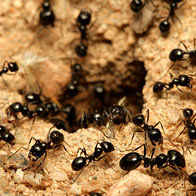 The best way to rid homes and buildings of ants is to keep them out from the get go. Using DE Diatomaceous Earth, I make barriers around windows and doors. Where I live, ants are present year round and I am always making certain to keep food containers well sealed and highly recommend that your garbage, recycling, and compositing receptacles have lids. If you do find that ants are finding a way into your home through small cracks or holes, sealing these entry ways with caulking will stop ants from bypassing your DE barriers. Keeping your home pest free is a year-round job. Utilizing these safe, easy, and environmentally friendly products will help you stay happy this holiday! Taking care of indoor plants: How to keep them thriving all year long! 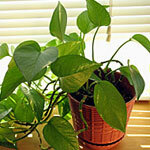 House plants are a great way to add green to your home. They are also a great way to purify the air and create ambiance! I love my houseplants, and have some as old as my children! The key to caring for house plants is to keep them happy! They need to be located near the best kind of light for their growth, the proper amount of water, and healthy soil! Start out by planting in a good organic soil. Watering the correct amount is very important. I check the moisture level using my finger every time I water. This is important because humidity levels in your area can fluctuate, and you may be surprised to find that your plants need more or less water week to week. Too much water, or improper drainage can be detrimental to you plants so pay attention to water retention! I like to add fertilizer like Maxicrop Soluble Seaweed Powder 1-0-4 to my watering can. It is so easy to add a bit and give all of my houseplants some nourishment! I also like to give my houseplants a treatment of NemAttack Beneficial Nematodes to help eliminate the possibility of any pests in the soil such as fungus gnats, thrips and crickets. While temperatures outside may drop, the indoors can provide a warm and inviting environment! If you do get some pests, like pesky fungus gnats, place a Gnat Stix trap in the soil near your plant! Follow my advice and you too can have plants that survive season after season and grow to be a permanent fixture in your family! 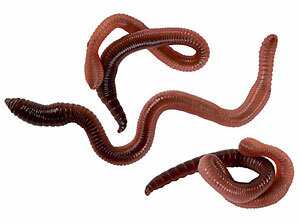 Everyone should have a Worm Factory in their home! Another great thing to know about compost and healthy soil is that there is an important relationship between dirt and worms. Worms aerate soil and make an excellent organic fertilizer by leaving behind castings rich in phosphorus, nitrogen, and many other nutrients and trace minerals. 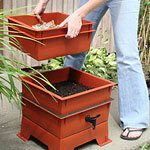 A fun and easy way to add worms to your garden is by using a Worm Factory®! The Worm Factory® is a nifty home for worms, helping compost form as worms feed on your food scrapes. It is designed with square stacking bins and a bottom spigot. You can easily harvest the worm castings, and collect compost tea! This odorless dwelling is a great home for worms, allowing for family expansion. You can use it year-round and it can provide a fun way for children to understand the process of transforming food waste into valuable fertilizer! I am looking forward to the holiday season, as I have many friends and family members that would find this to be a great addition to their home composting system! I wonder if I can gift wrap the worms? Order Worms Here. Why Use Beneficial Nematodes In The Fall? While it is sensible to use Beneficial Nematodes in the warmer summer and spring months, it is absolutely necessary to use them in the Fall! For instance, in places where you have a year-round lawn or garden, use Beneficial Nematodes to eliminate any developing pests that are go underground for the winter! You will be sure to get a head start when spring rolls around. Think of the Beneficial Nematodes as the authority when it comes to evicting pests from your soil! Also, you can use them indoors to control pests that may be taking residency this Fall in your houseplants! You can add a spoonful of Beneficial Nematodes to the soil of your potted plants. I do this while watering every few months. It is very easy and it is a great way to ensure that pests stay out! 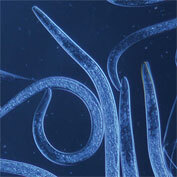 Order Beneficial Nematodes Here. Fleas and ticks can pose a year-round problem and can be pestering to you and your animal friends this fall. The fall is the perfect time for any eggs laid late in the summer to begin hatching. No worries! Arbico Organics has a great variety of products to control your flea and tick problems the natural way, without any OPs! As always, I suggest a full spectrum approach. For immediate repellent needs, caused by the hatching of summer laid eggs, I recommend any of the natural plant and essential oil based products. Check out Flea 'n Tick B Gone, Insect Shooo Flea Repellent, Knock-Out Natural Insect Repellent Spray for Dogs and tasty Yeast & Garlic Bits! To treat the cause, I recommend treating the areas outside of your home with a combination of NemAttack and NemaSeek Beneficial Nematodes! They provide a great first line of defense against emerging and developing fleas and ticks! Although summer is fleeing, don't let fleas and ticks bother you or your pets! Occupation: Owner, ARBICO Organics, Inc.
Greetings to everyone! I would like to share with you briefly about my background and how I came to be known as "Dr. Buglady"! Originally from Tucson, AZ., I have spent over thirty years growing what started as an off-beat idea of my husband's into a company committed to providing affordable environmentally sustainable pest and garden solutions. I have a true passion for what I do! Starting out with a background in International Relations, I was ready to take on the challenge of starting a business. Since the earliest days, I began to learn as much as I could about insects and organisms, soil fertility, weeds, diseases, composting, cover crops, bio-oases and much more! Years of working with gardeners, farmers and commercial customers have allowed me to acquire an enormous education that I can now share with you! I have had the chance to work with many experts in my field and have been honored on occasion as a presenter to share my own wealth of knowledge at organic/sustainable conferences and agricultural gatherings globally! Along the way, by helping to prescribe environmentally sustainable and organic solutions, I picked up the nickname of Dr. Buglady! I love helping people with their pest, garden, pet and farm solutions. I look forward to hearing from you! The doctor is in! Welcome To Dr. Buglady’s First Blog Post! I am thrilled to have the opportunity to get to answer more questions, give more tips and help more people find organic and environmentally friendly methods for their lawns and gardens, farms and pets! 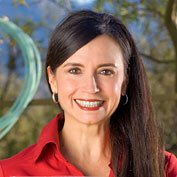 With my passion for a healthy environment, I feel that it is my duty to help you reach your green goals! The way to communicate with me is to go online to ARBICO-Organics.com and click on the Ask Dr. Buglady icon. I will do my best to get back with an answer to your question (s) as soon as possible! For fast answers to any questions that you may have, please call toll free to Arbico Organics, 8am to 5pm MST Monday through Friday, and an Arbico Organics consultant will be happy to visit with you to learn about your situation and provide you with organic solutions that will solve your gardening, farming and pet care issues. As always, feel free to email me your questions by clicking on the Dr. Buglady icon on the Arbico Organics homepage or by simply filling out the form found at: Ask Doctor Buglady. For more information, I recommend that you tune into my radio show, "The Easy Organic Gardener"! I am pleased to have some amazing guest and encourage you to call in with you own questions to be answered by myself and other experts live on the air (call in number: 1-800-259-9231)! The show airs weekly on Sundays at 11:00 am CST. The radio show link can be found below and is also available on the helpful Arbico Organics homepage, The Easy Organic Gardener.